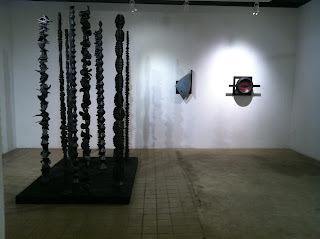 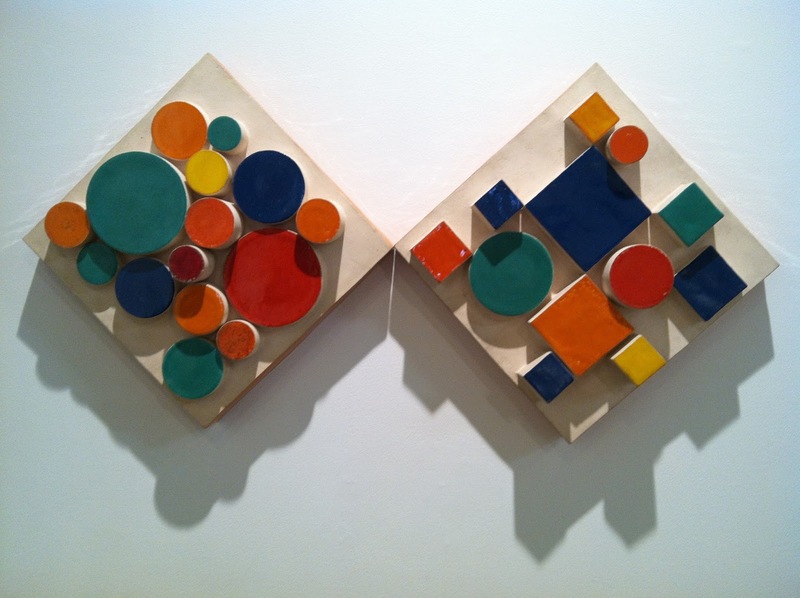 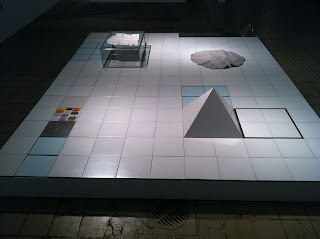 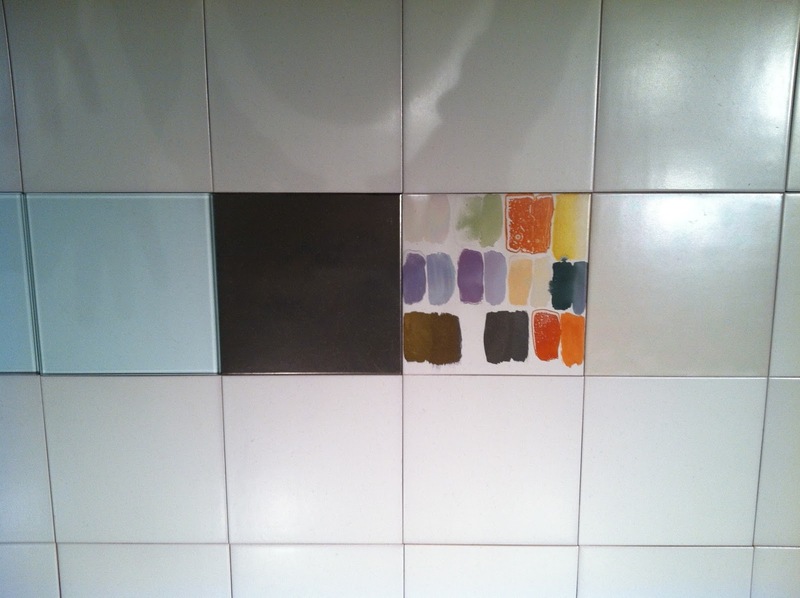 The earliest work in Pat Lay's impressive retrospective at Aljira : ceramic wall pieces describing urban topographies. Lay was based in Buffalo at the time. An Asian garden-inspired grid, which Marcia Tucker selected for the 1975 Whitney Biennial, just five years after Lay relocated to Manhattan. 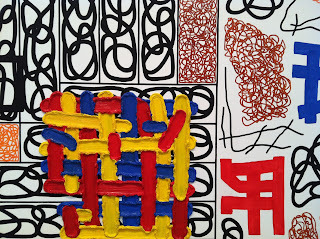 Detail of the Asian Garden grid floor work, recalling Jennifer Bartlett and Pat Steir's grids. Lay's interest in African and Asian culture was already clear. 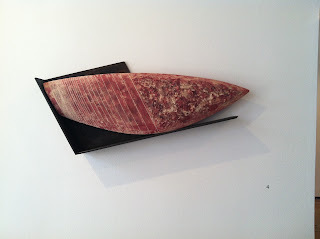 In the 1980s, Lay took a technical welding class and began working with wood and marble. 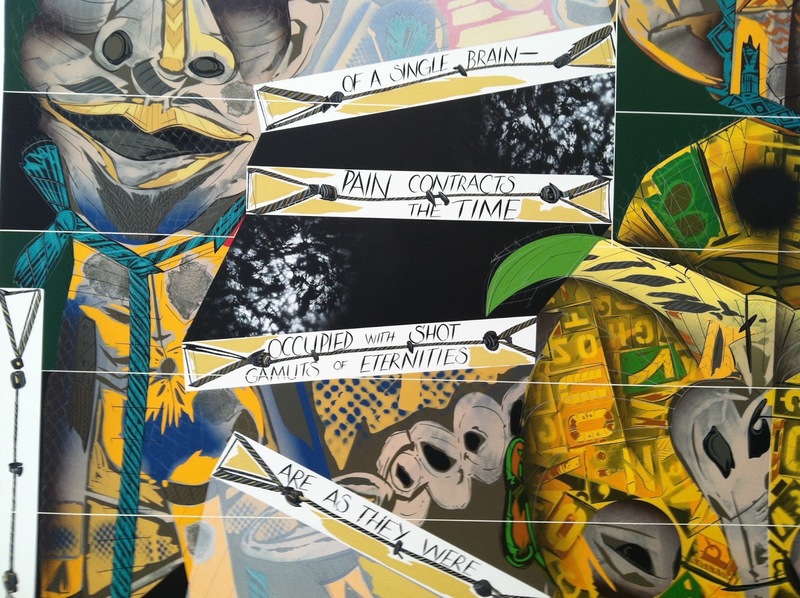 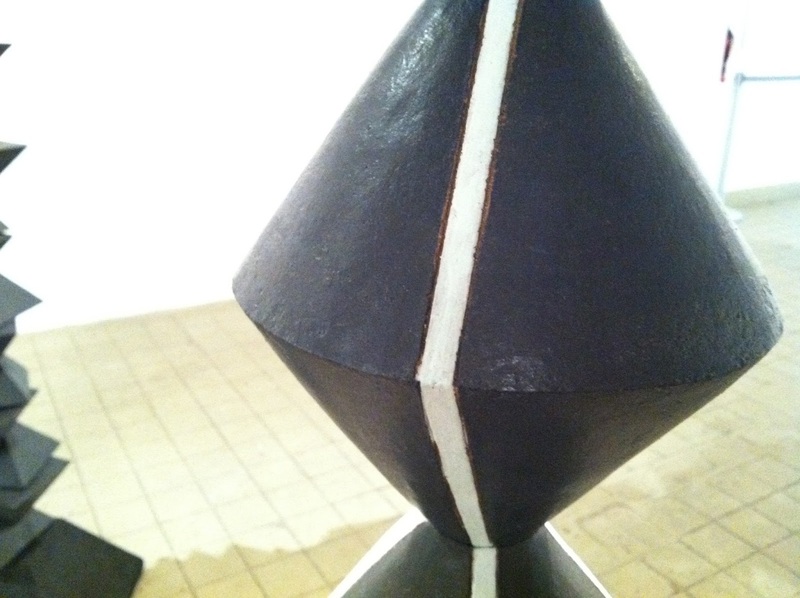 A variety of shapes gathered together, presaging her later , figurative works inspired by African avatar-like forms that assemble objects from the person's life and gather them together. 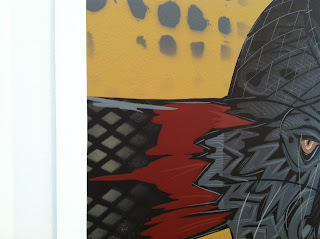 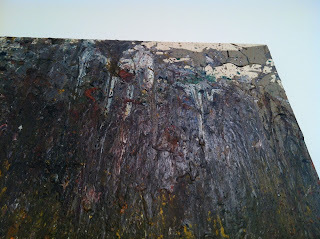 The quality of surface on these works is astounding. 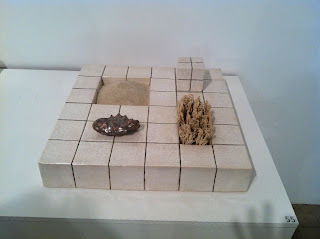 Ceramic on welded steel armatures. 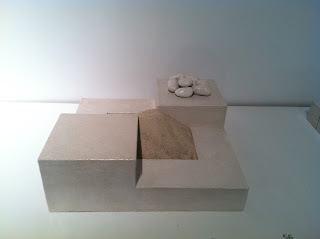 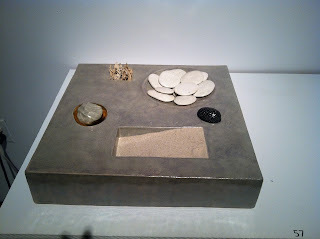 Lay began to work smaller, using metals and graphite from Kremer. 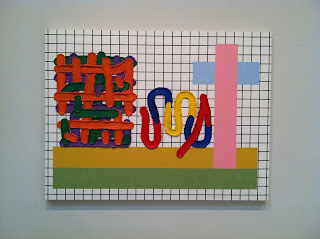 This is late '80s, early '90s. 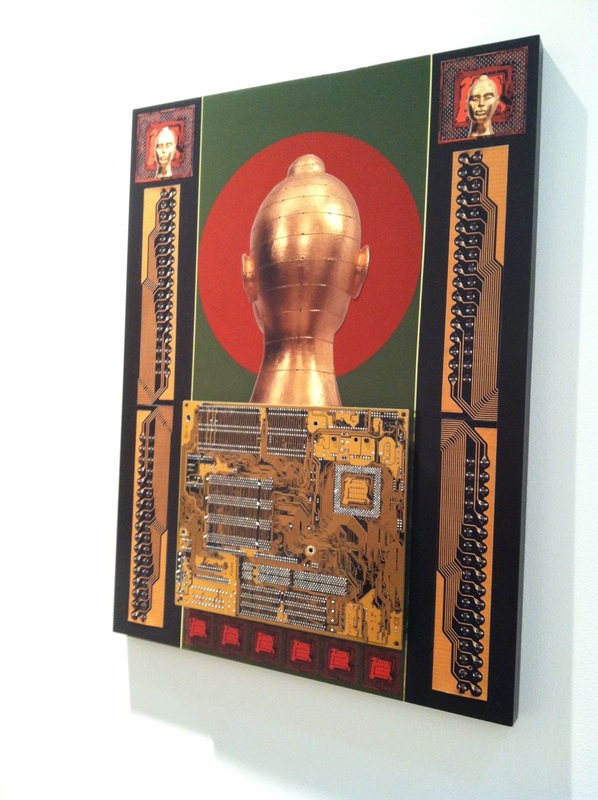 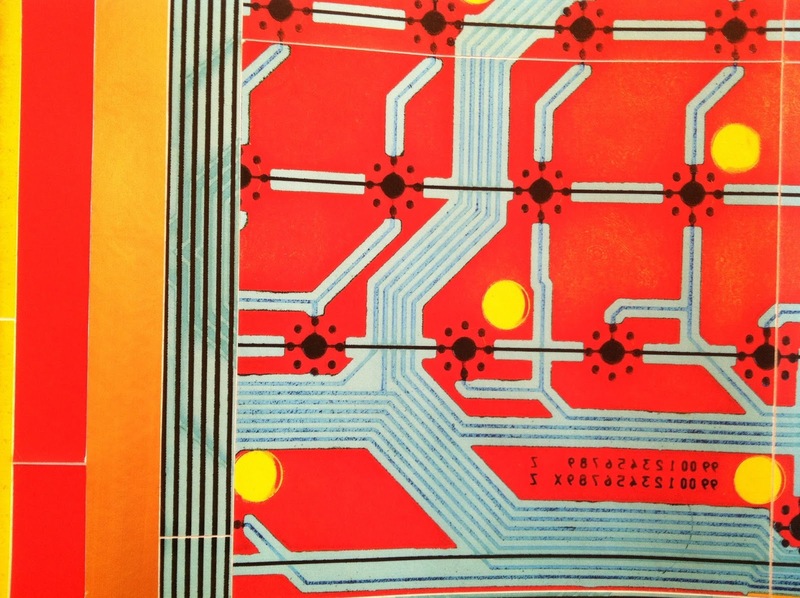 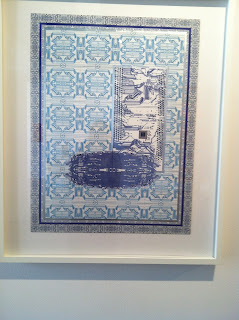 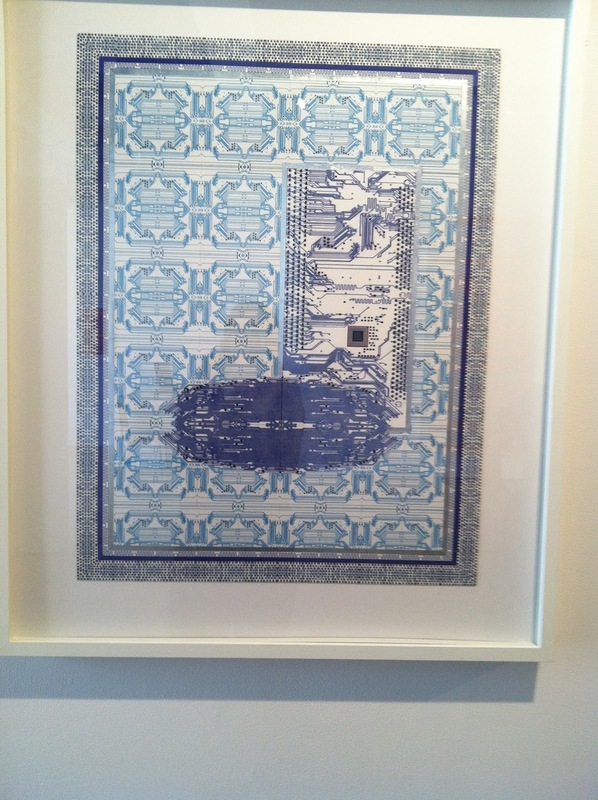 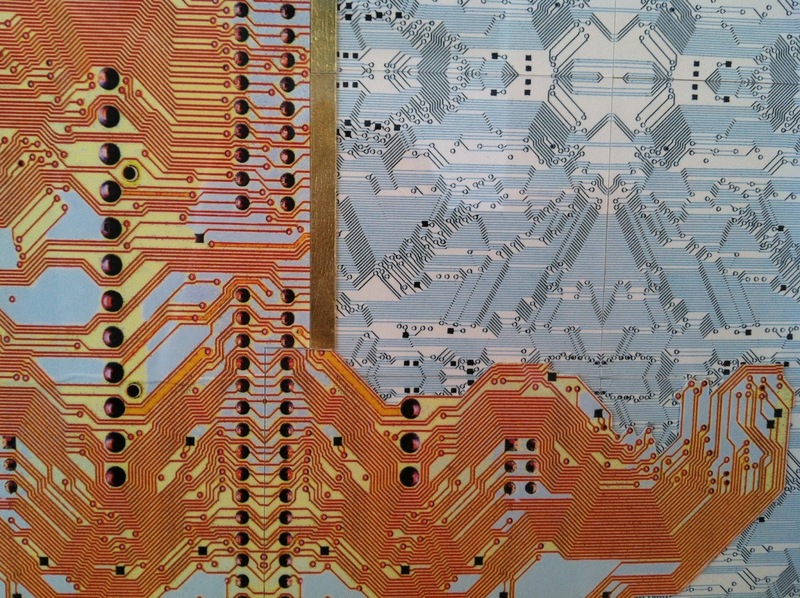 She then made a collage, below, referencing Buddhism and technology (lower left). 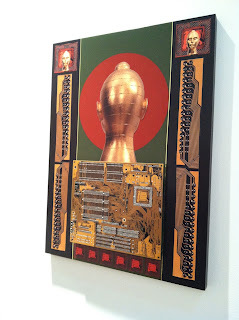 From there, her work forked in two directions: sculptural heads with technological detritus attached, as if the heads were African devotional figures, and collaged scrolls of repetitive patterns from computer motherboards, the holes beneath keyboards, and other phenomena. By this time, Lay had traveled frequently to China, Thailand and Indonesia. 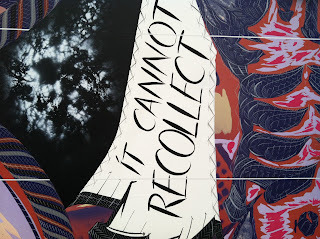 The front room at Aljira (exhibition moves from back to front, chronologically) with portrait heads and scrolls. 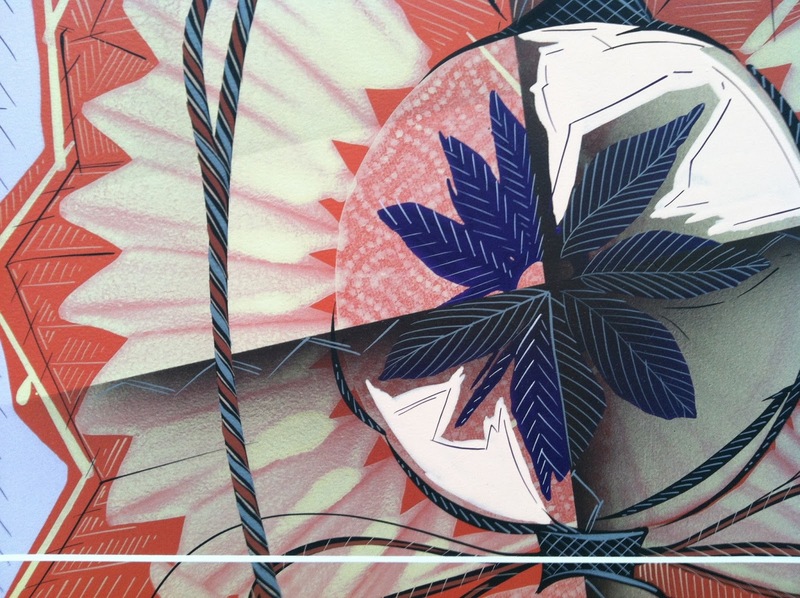 Setting up boundaries then breaking them. 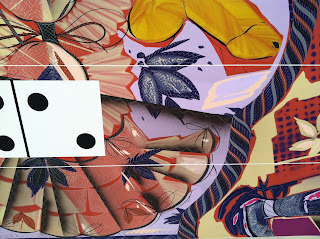 These recent works are digital prints. 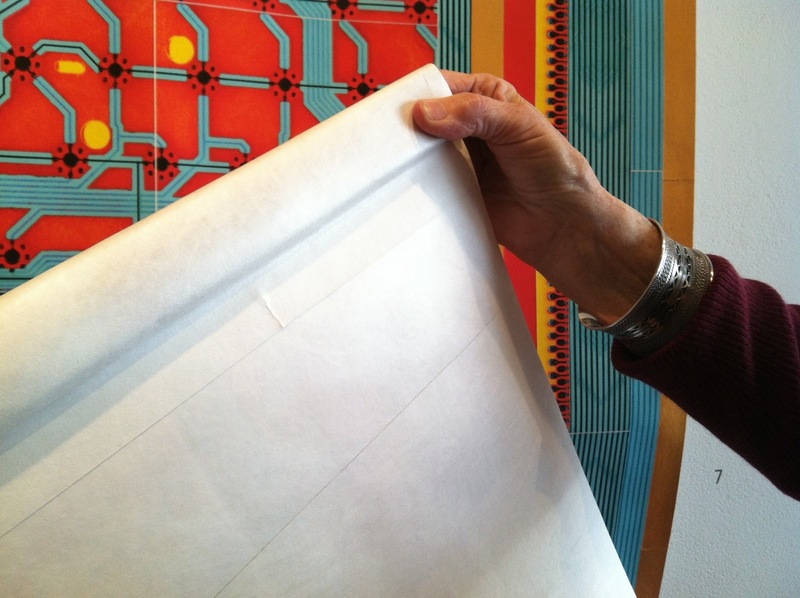 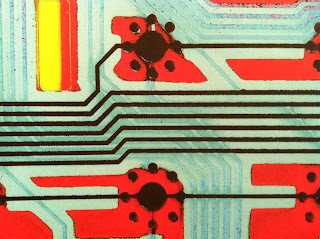 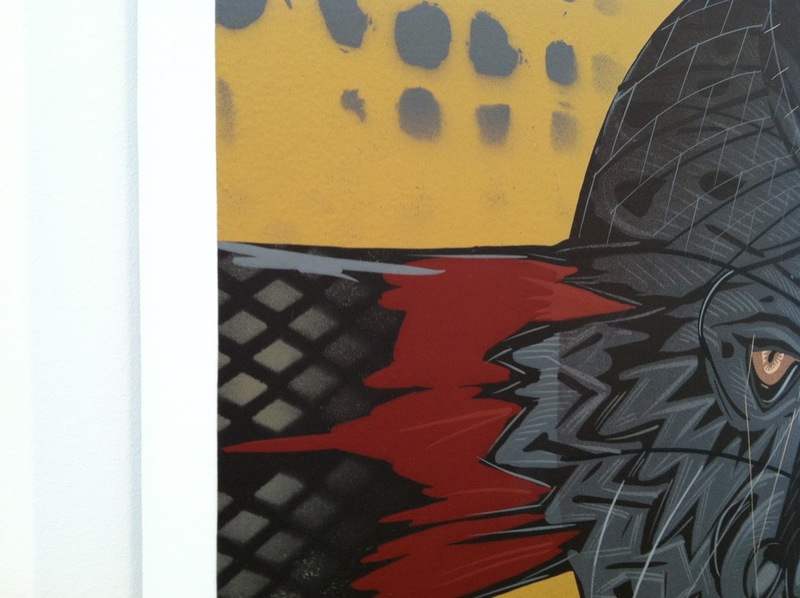 Lay has been working with digital print on Kozo paper, which thin, absorbent surface allows the color to saturate. 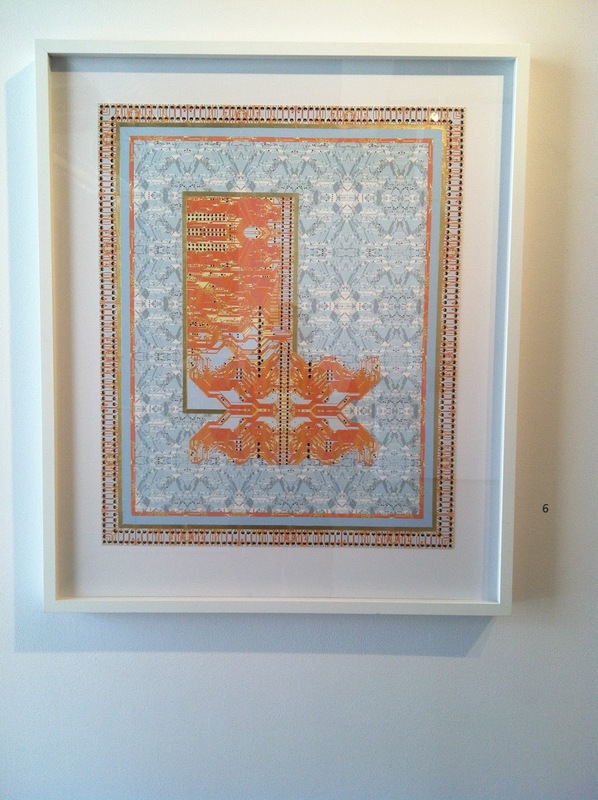 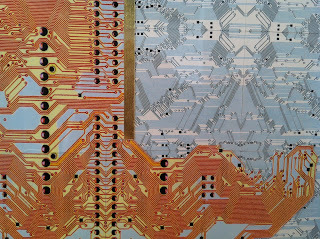 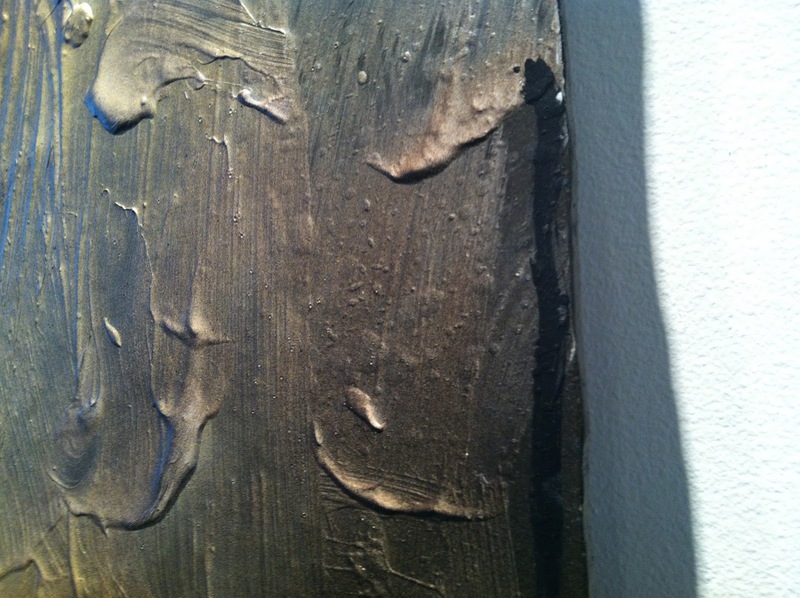 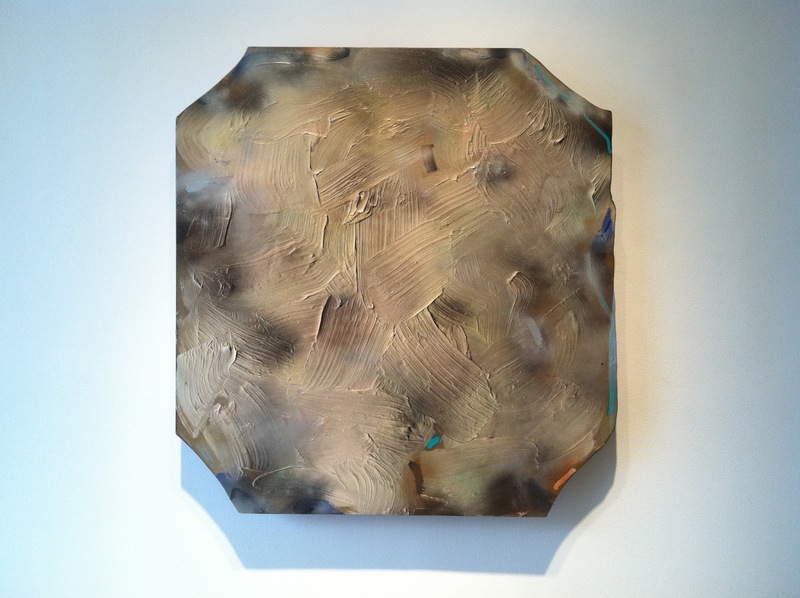 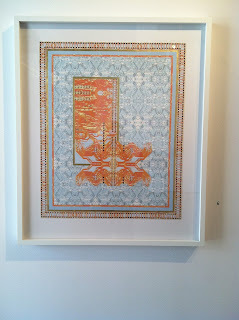 The prints on Kozo are mounted, with hand-painted strips of metallic paint or gold leaf, on Tyvek. 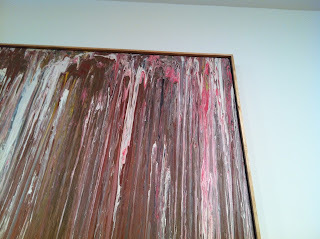 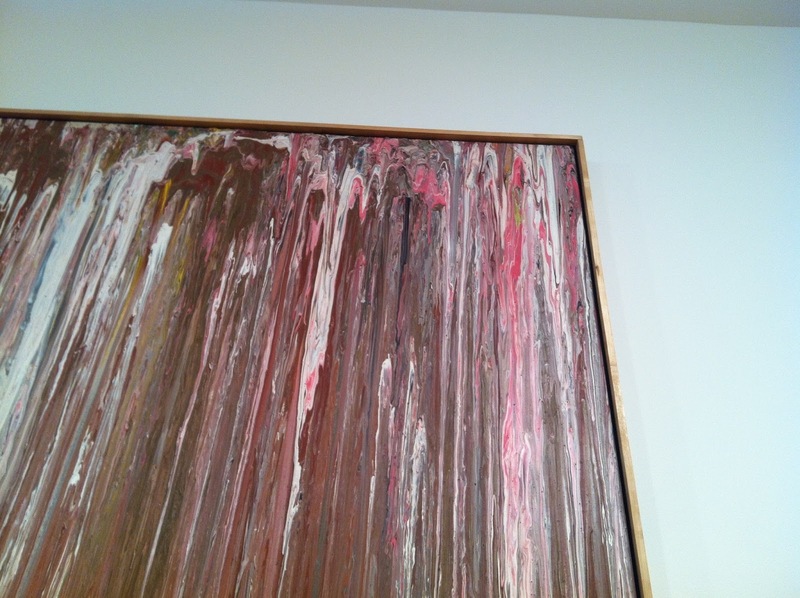 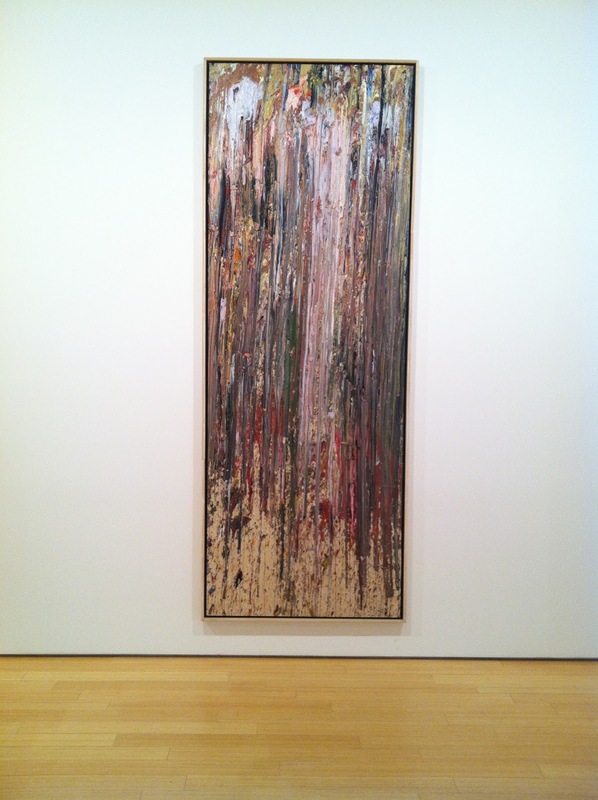 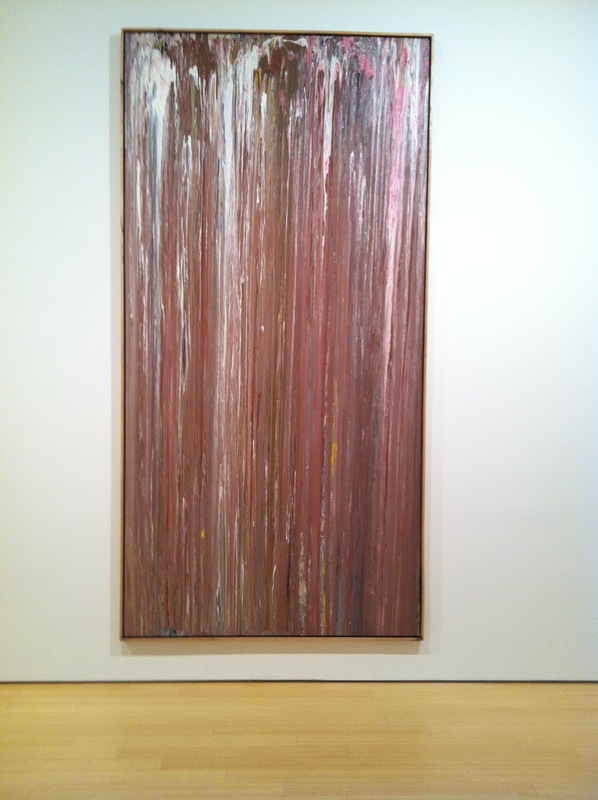 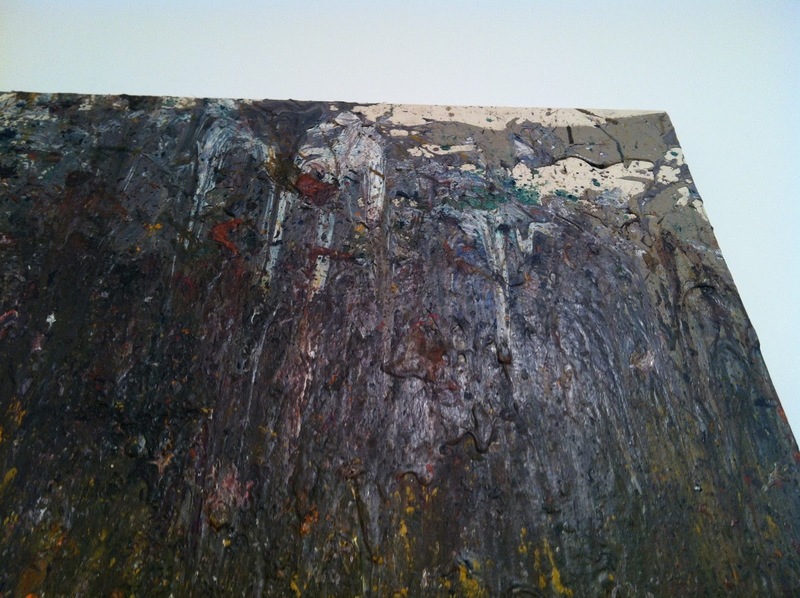 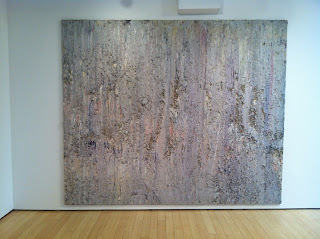 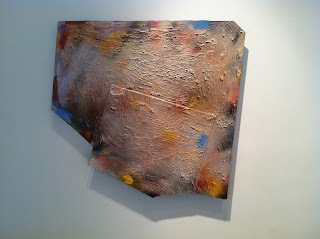 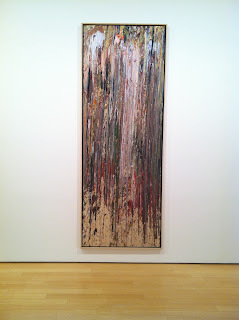 Larry Poons, Choral Fantasy - recently closed at Loretta Howard. At age 64, Olitski began experimenting with plexiglass surfaces, layering paint and mediums on the slick surface to receive his "paint suspended in air" spray technique. 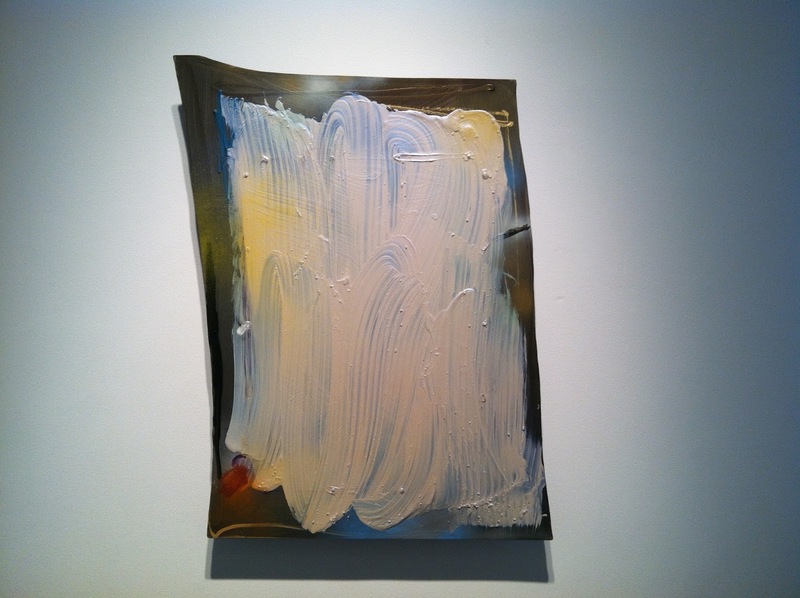 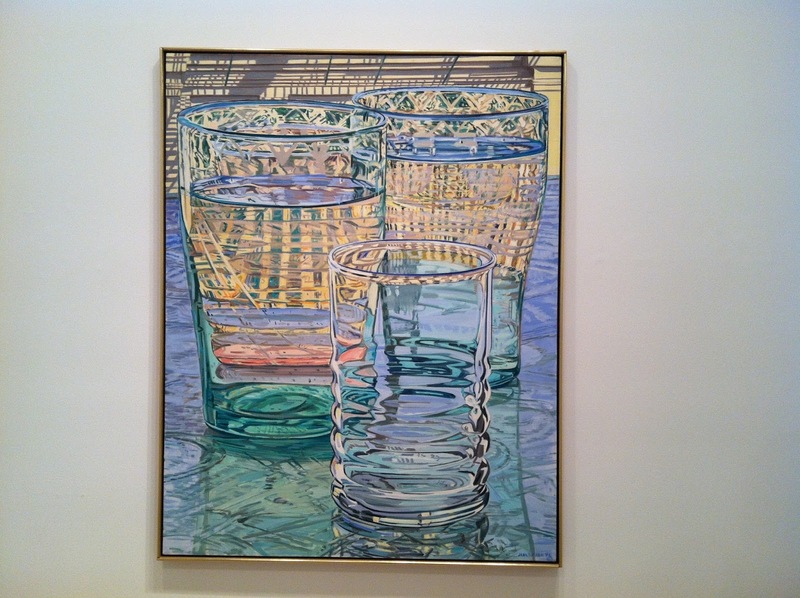 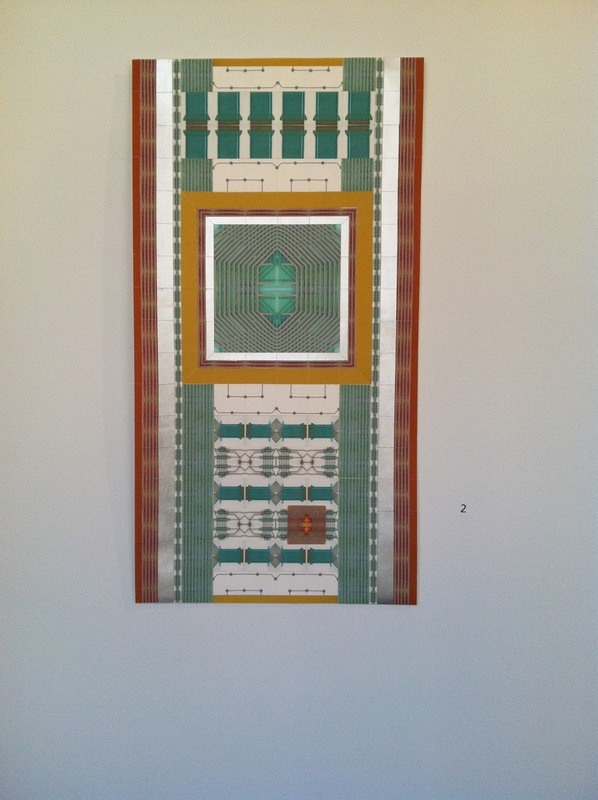 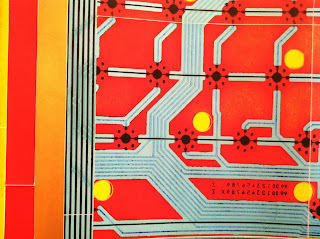 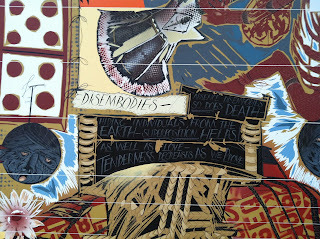 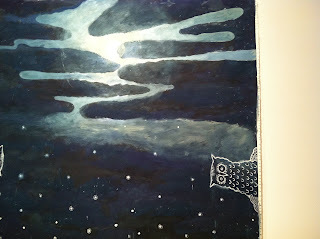 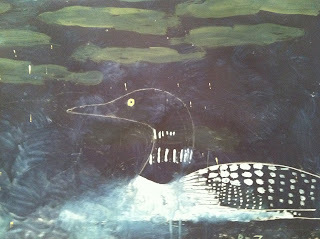 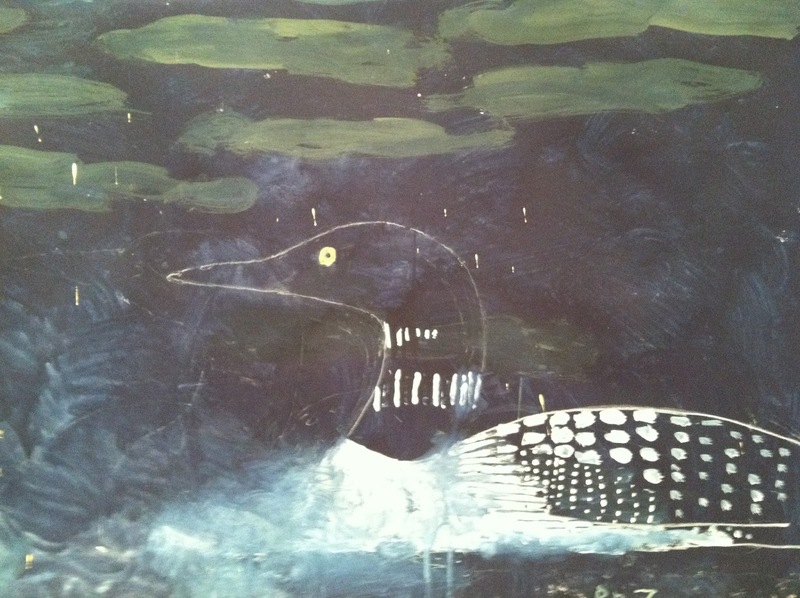 The paintings are synthetic--on plexi surfaces, made with acrylic~but gleam and glow face on. 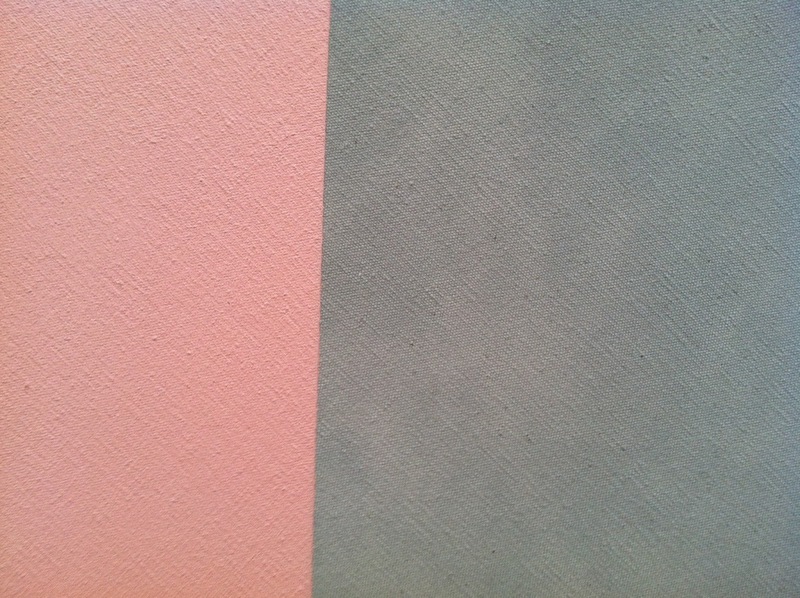 Ravishing neutrals in odd configurations. 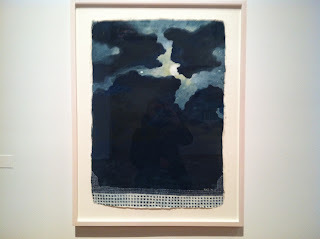 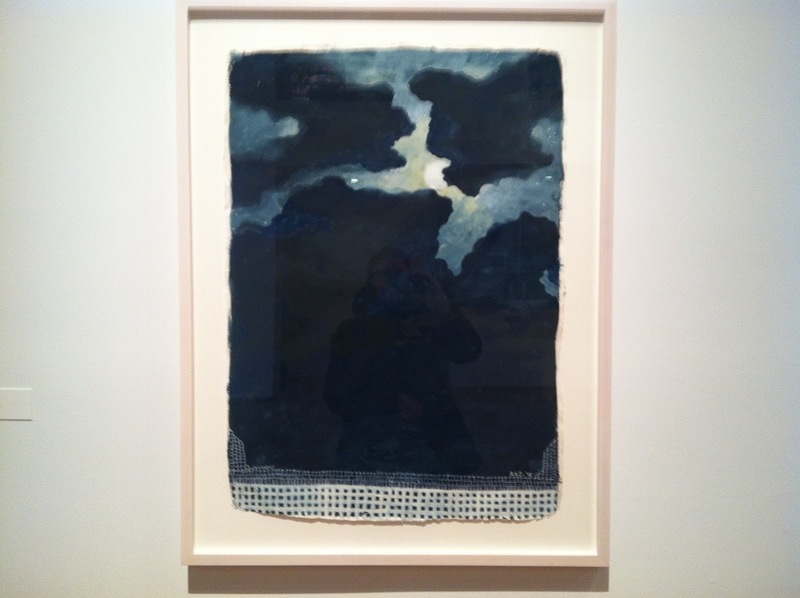 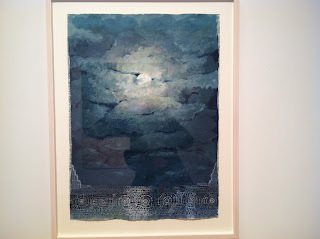 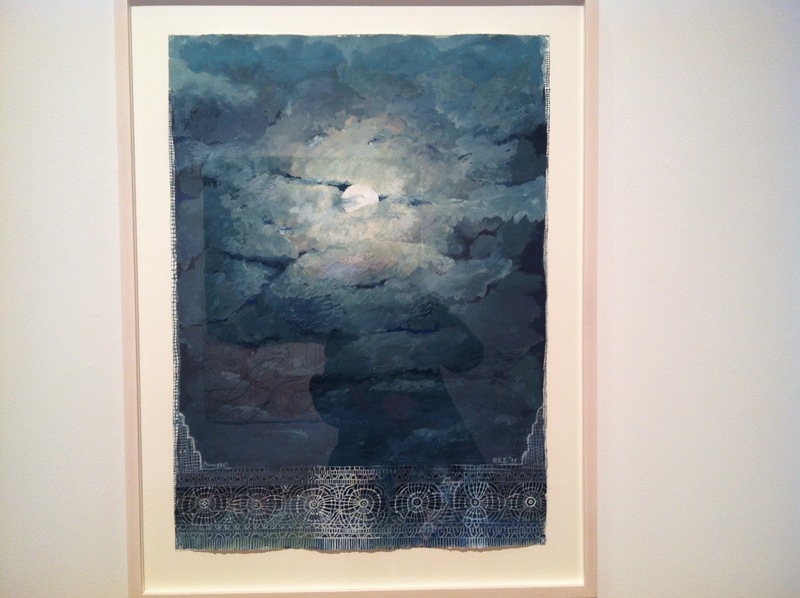 Robert Zakanich at Nancy Hoffman in his new exhibitions of works on paper, In the Garden of the Moon. What a gorgeous, inspiring, joyous show, filled with love of light, life, and funny birds. 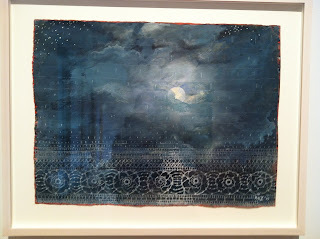 I was not expecting to love this show as much as I did - the quality of the patterning, offset with simple but inspired views of the moon from Zakanitch's garden delighted the eye. 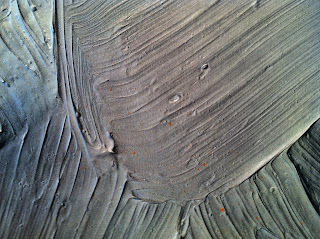 "An artist always internally carries within him/her, consciously, and more unconsciously, imagery and nuances he or she loves. It is what shapes the work." 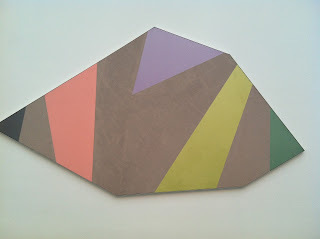 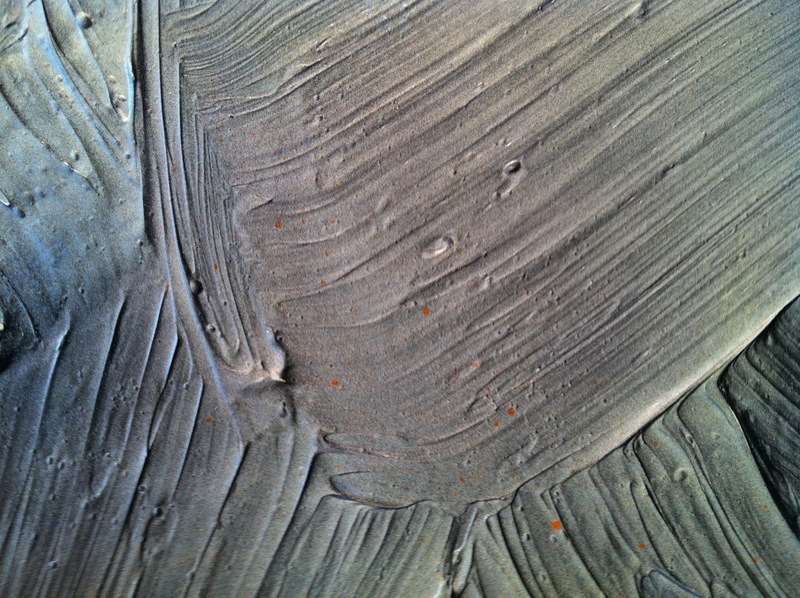 Simply gorgeous paintings, beautifully designed investigations of surface. 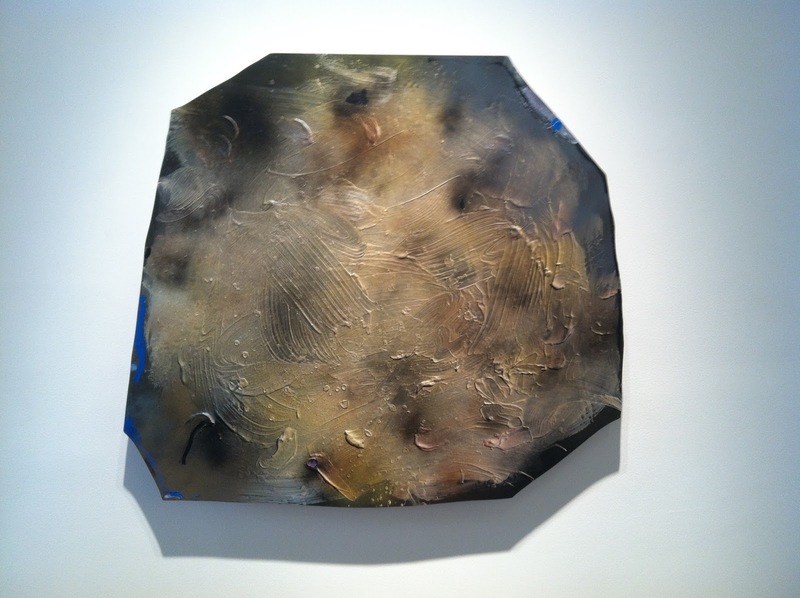 Next and current: Carrie Moyer, who reveals in her first exhibition, Sirens, at DC Moore, the legacy of all the acrylic pour painting seen above. 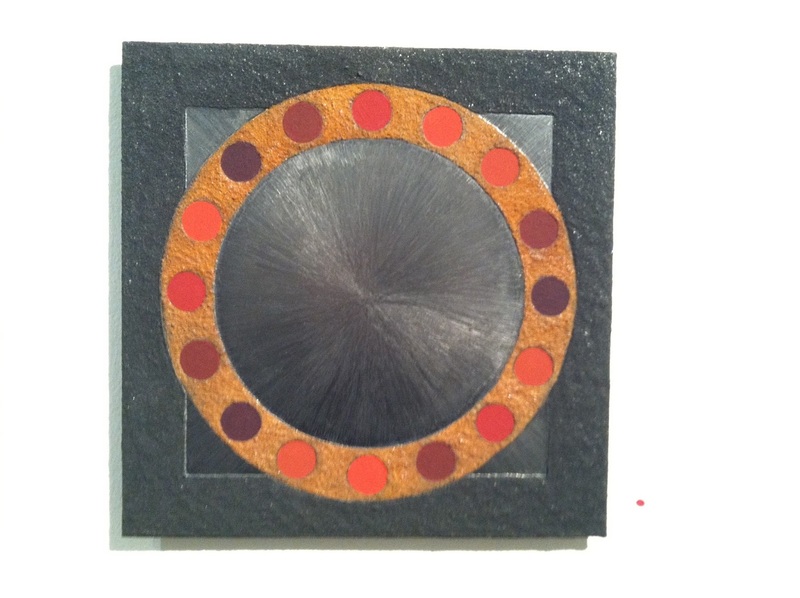 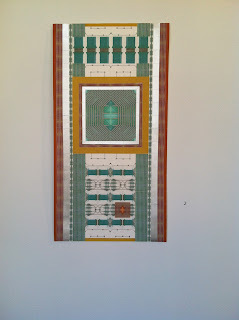 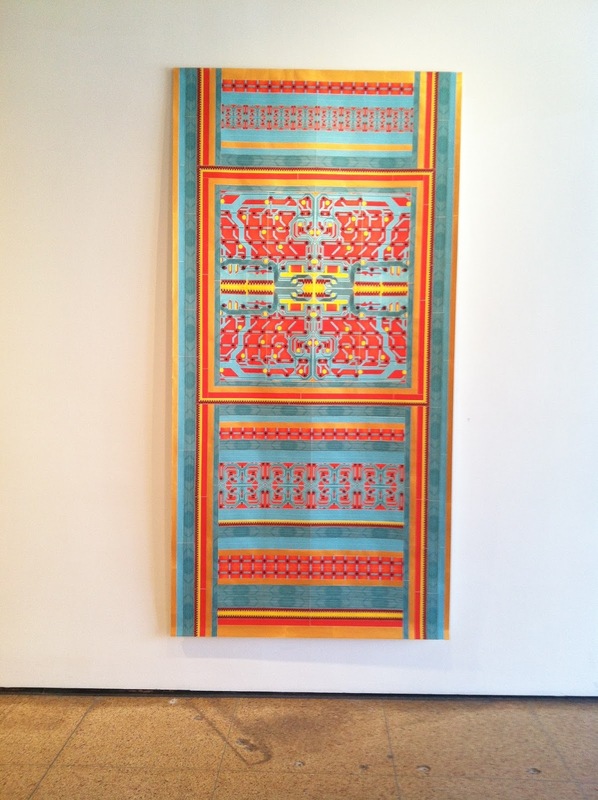 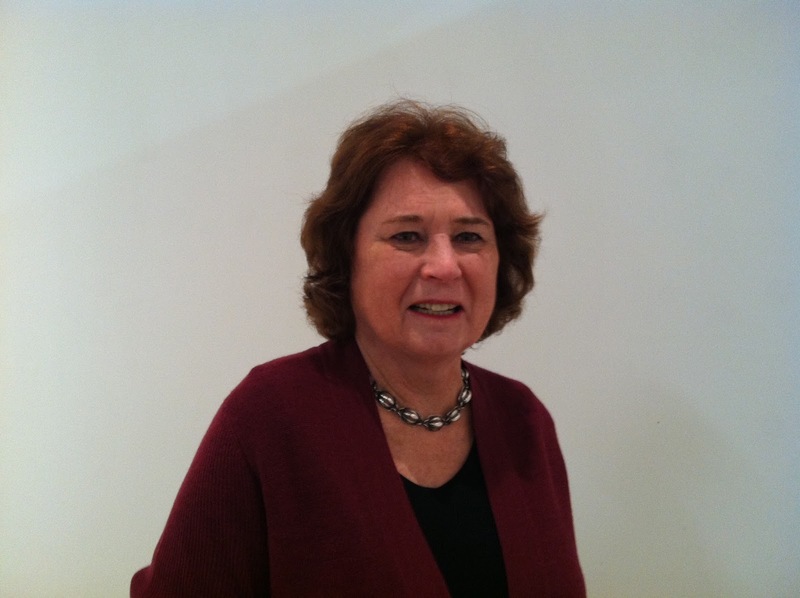 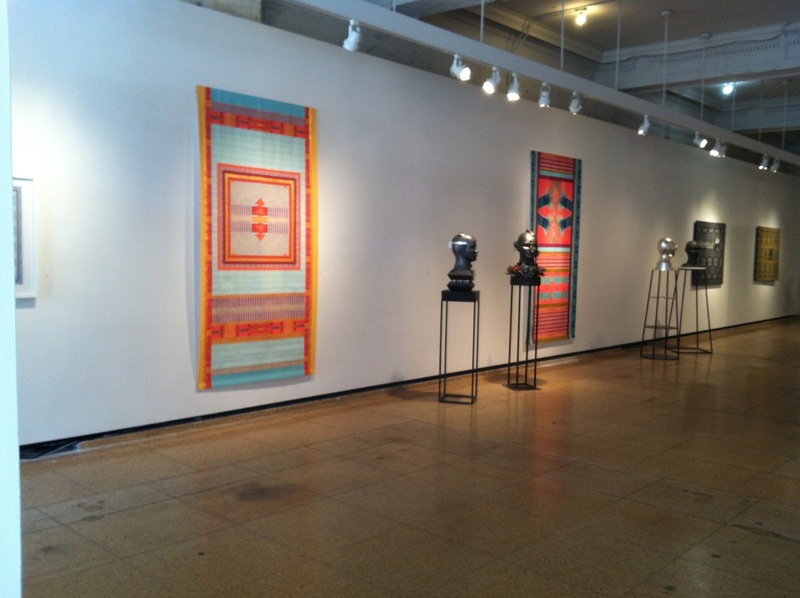 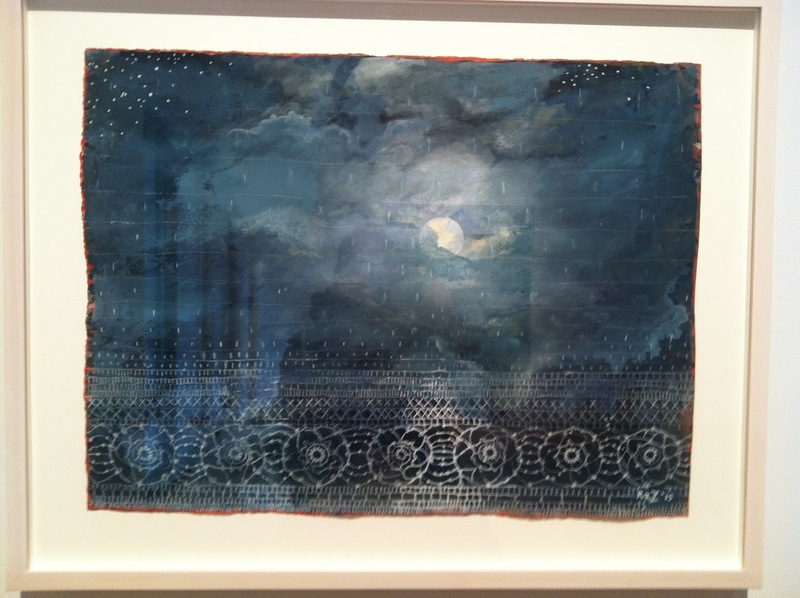 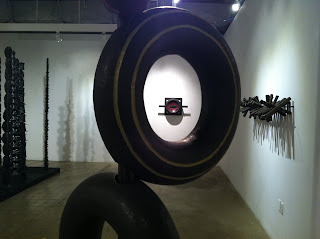 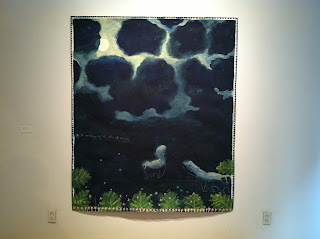 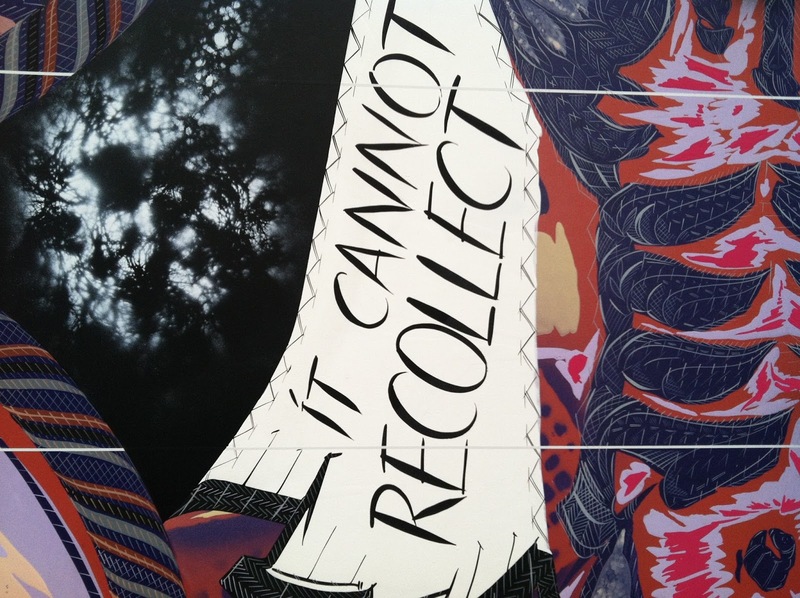 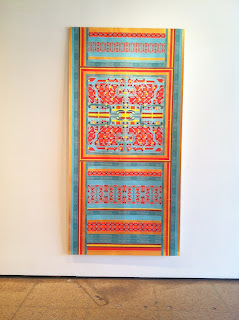 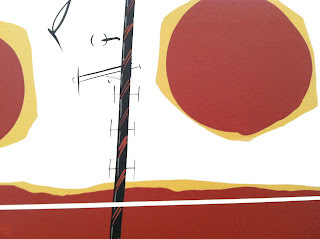 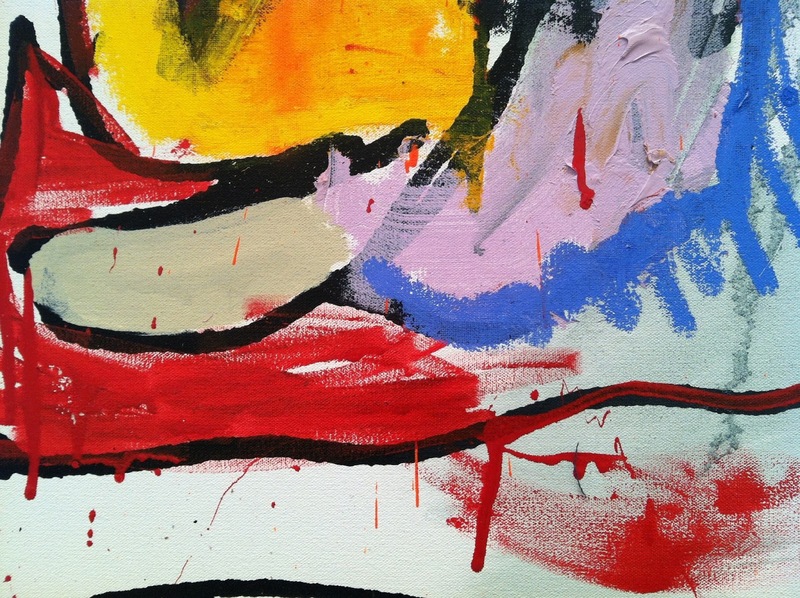 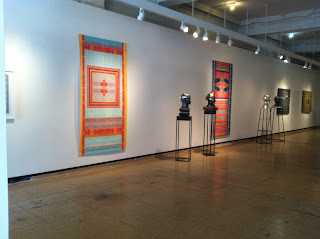 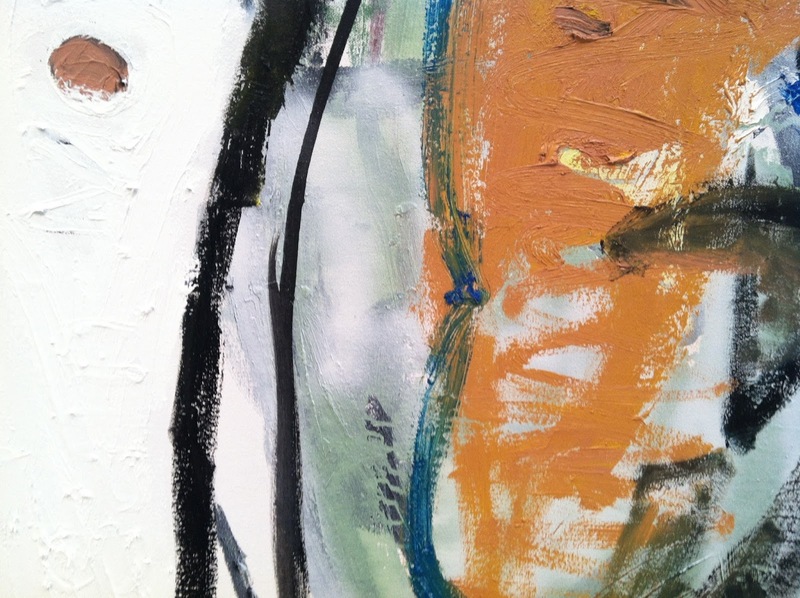 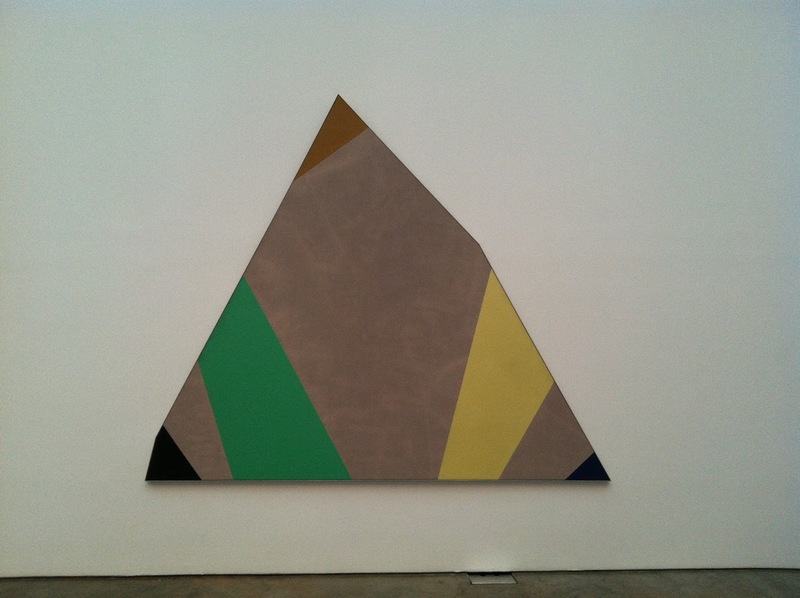 Link to exhibition here: Carrie Moyer at DC Moore. 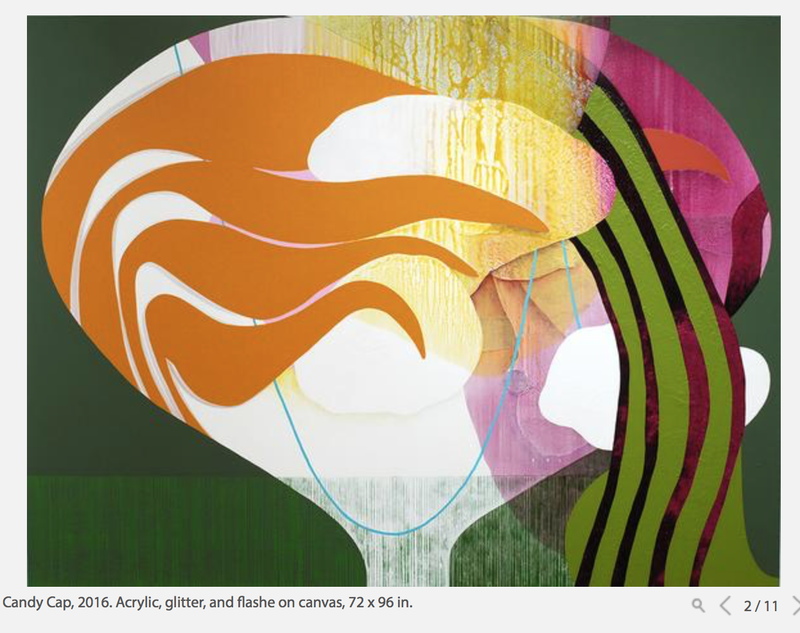 In Moyer's hands, the muted tonalities of letting paint go spring into jeweled action, sometimes literally with the use of glitter. 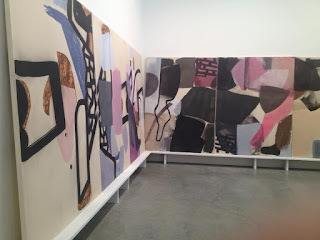 The above screenshot is my favorite painting in the show, but there are many delicious encounters with the balance of hard, opaque shapes and glistening pours she has perfected over the years, based on an early love of Elizabeth Murray's work and small collages that prompt her paintings. 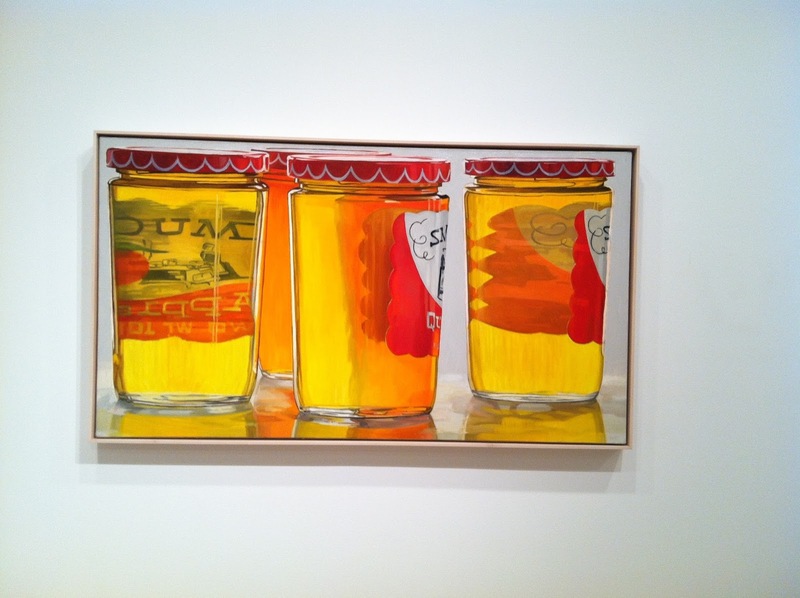 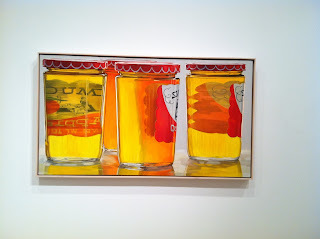 (This information is fresh from reading Jennifer Samet's Beer with a Painter with Moyer, just published on Hyperallergic). 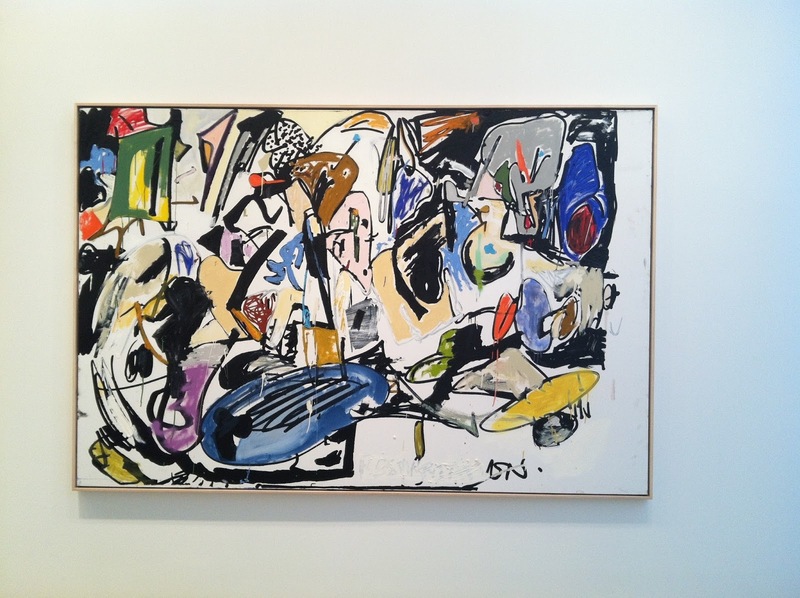 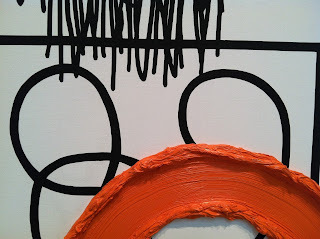 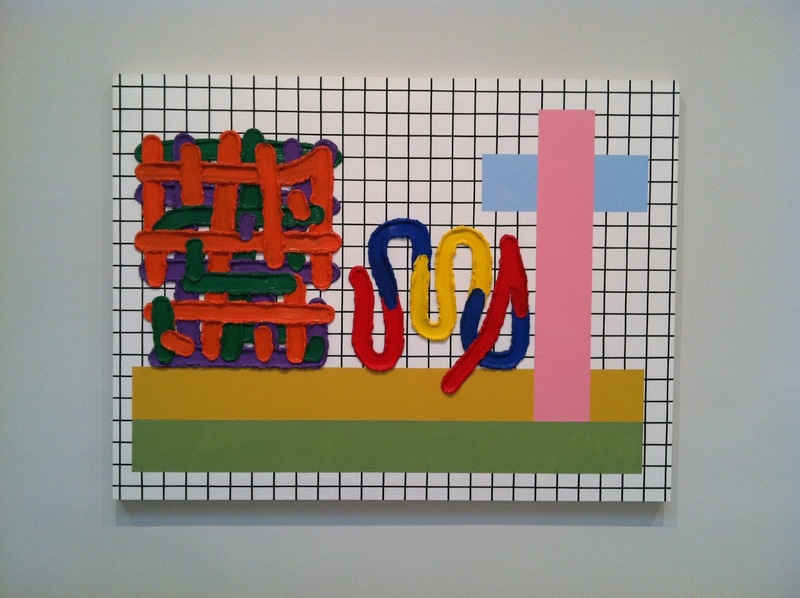 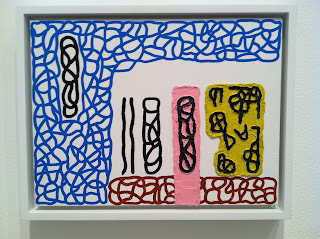 Exuberant combination of materials - a hot sensibility contrasted with Sillman's cooler elegance--tho plenty of psychological heat in her work too--and coded imagery, diagrammed as an image bank in the exhibition booklet she designed for the show. 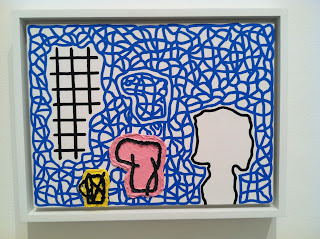 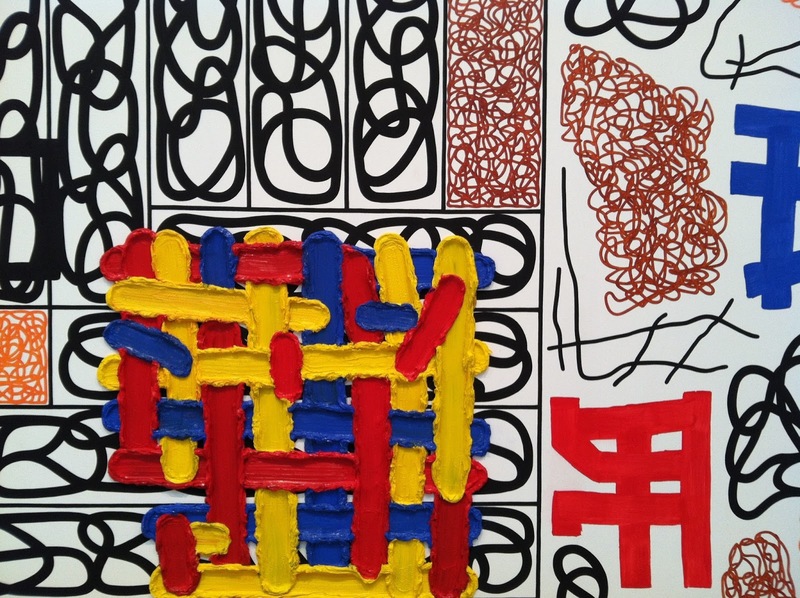 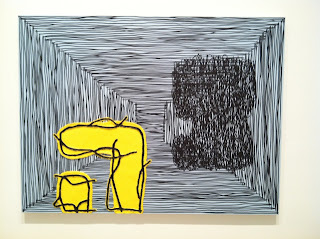 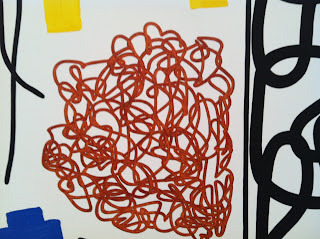 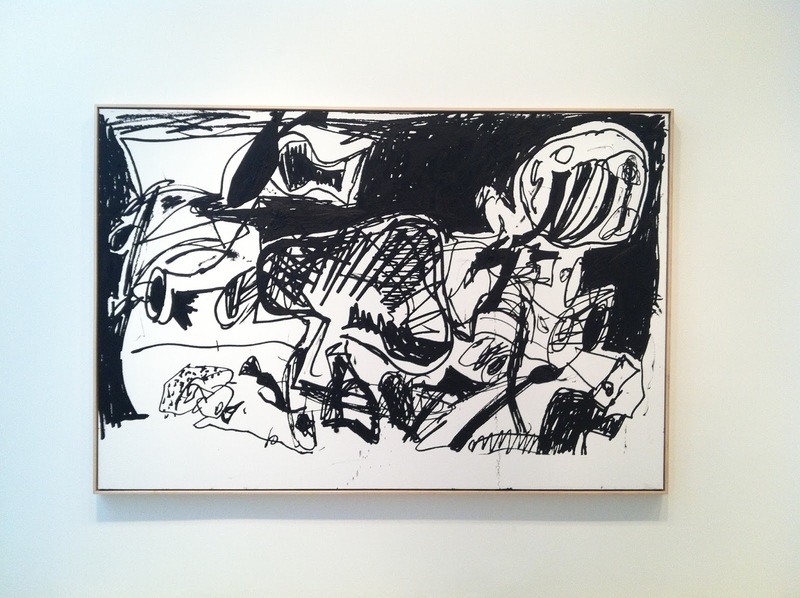 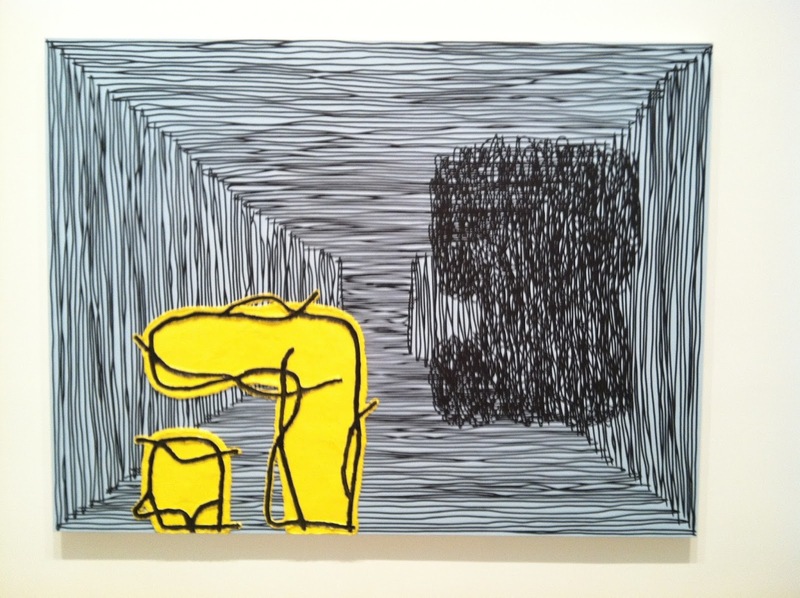 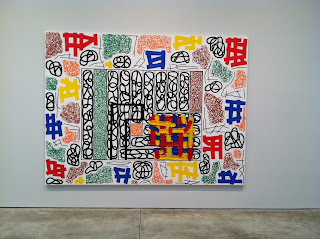 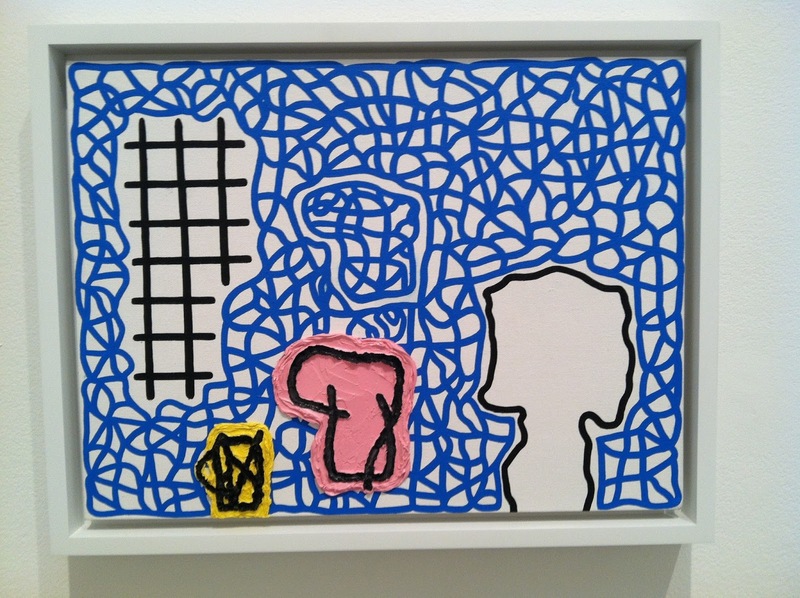 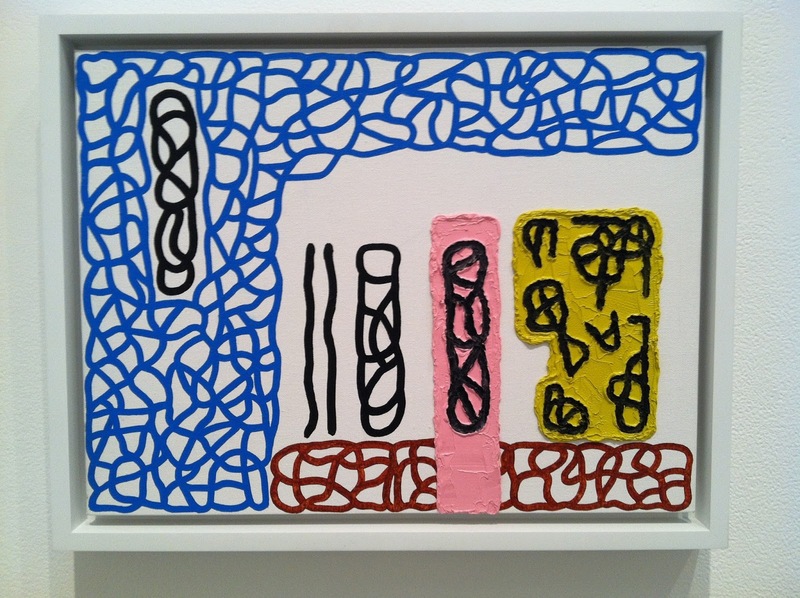 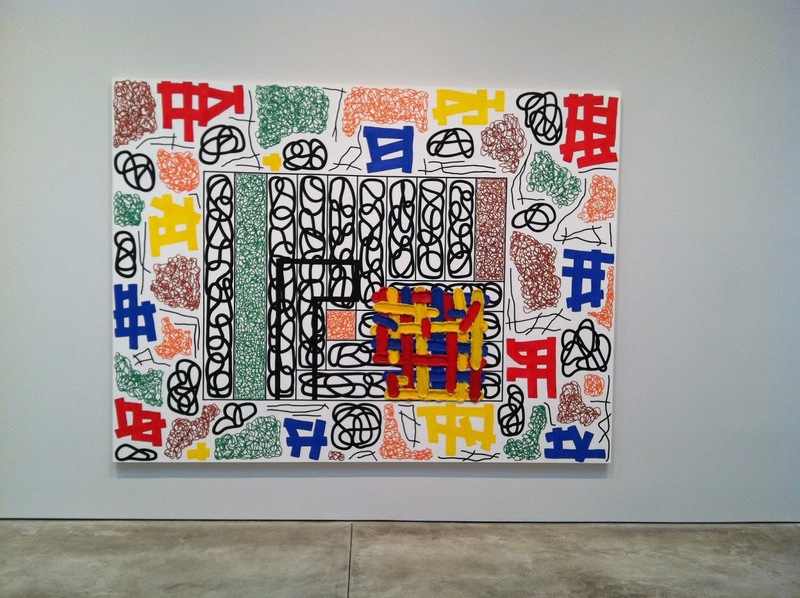 Jonathan Lasker's exhibition at Cheim and Reid was a logical next step - a well-practiced medley of gestures co-existing, hand-crafted and excitingly divided. 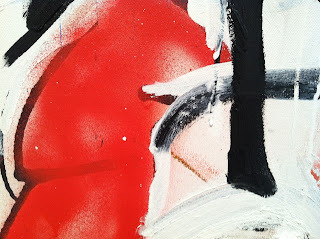 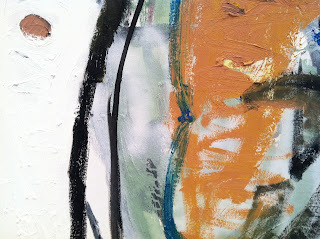 Detail from a perfectly executed painting. 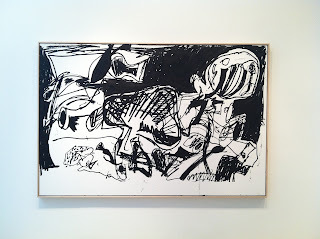 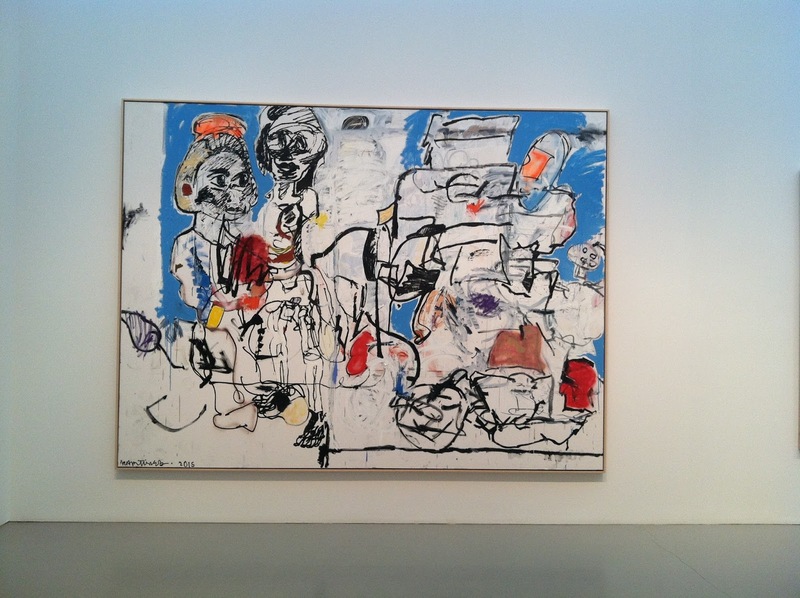 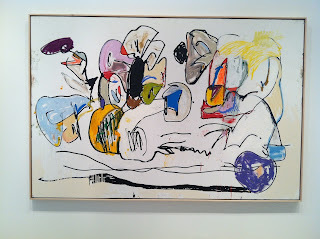 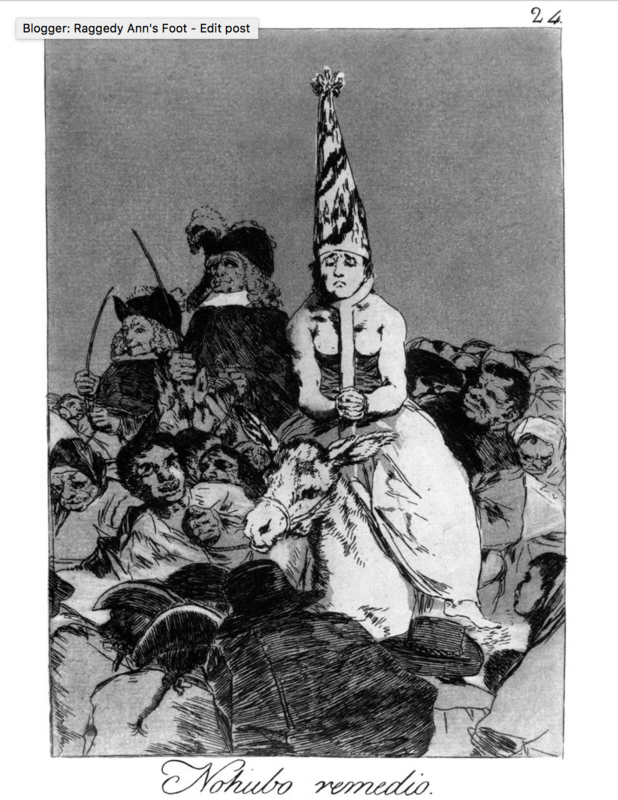 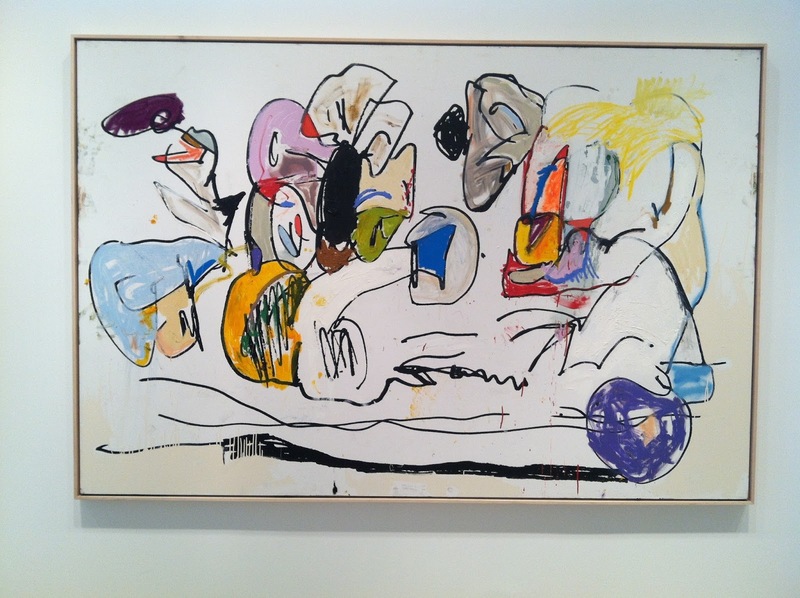 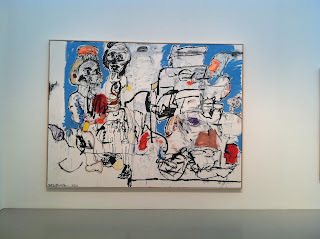 What execution meant when he first began this work and what it means now are two different things--perhaps commentary on disparate but co-existent syntax has become a supreme freedom of gesture. 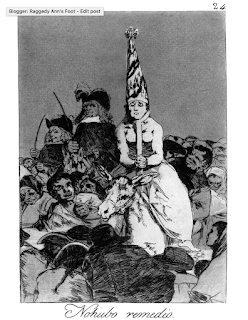 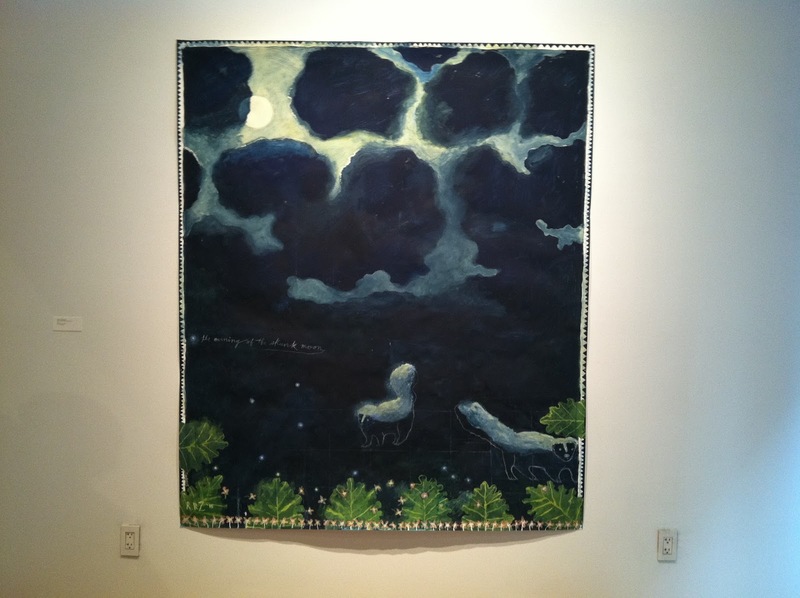 Shifting speed to an elegiac exhibition by Lari Pittman at Gladstone, also now closed: a weird, gorgeous and poignant group of paintings in tribute to Goya's Los Caprichos. 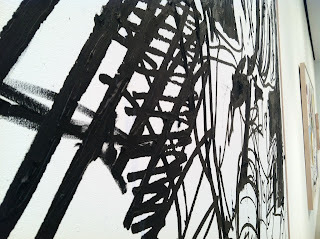 There are lines through the canvases like ruled paper adding another layer above the imagery we know. 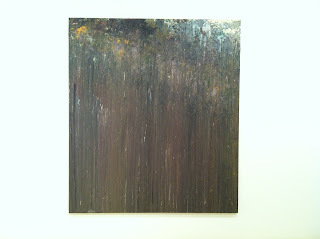 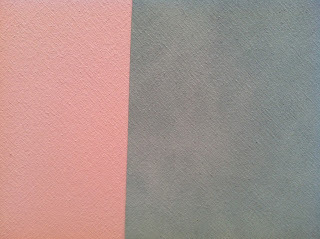 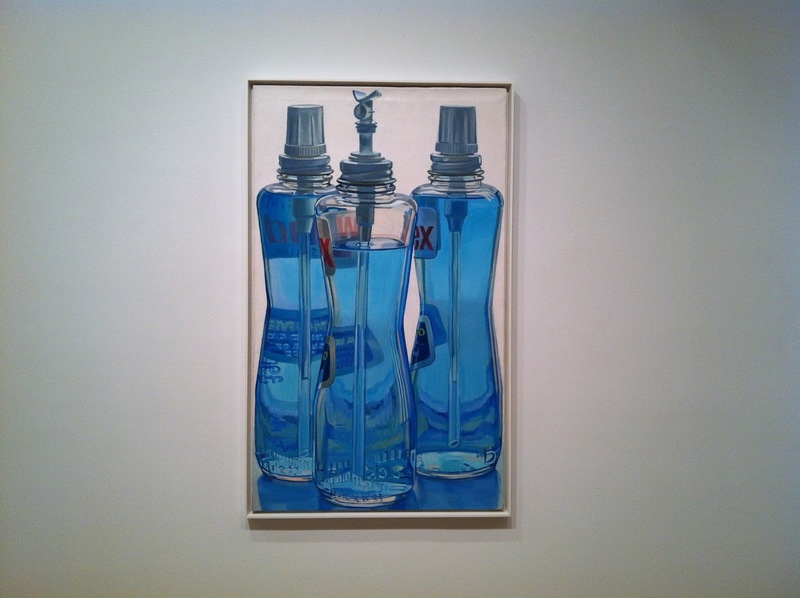 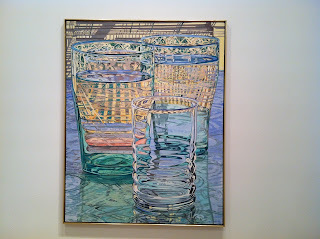 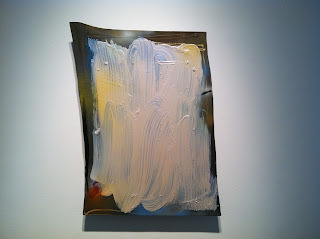 The color and mood of the paintings are dark--unsurprising given the source but for Pittman, muted.